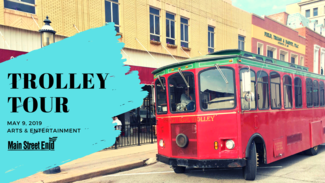 Enjoy a Trolley Tour immediately following the Main Street Mixer! Starts and ends at Stride Bank Center, 301 S Independence. Please meet at the Trolley on the South side of the building off of Grand! Refreshments will be provided at one of the stops!